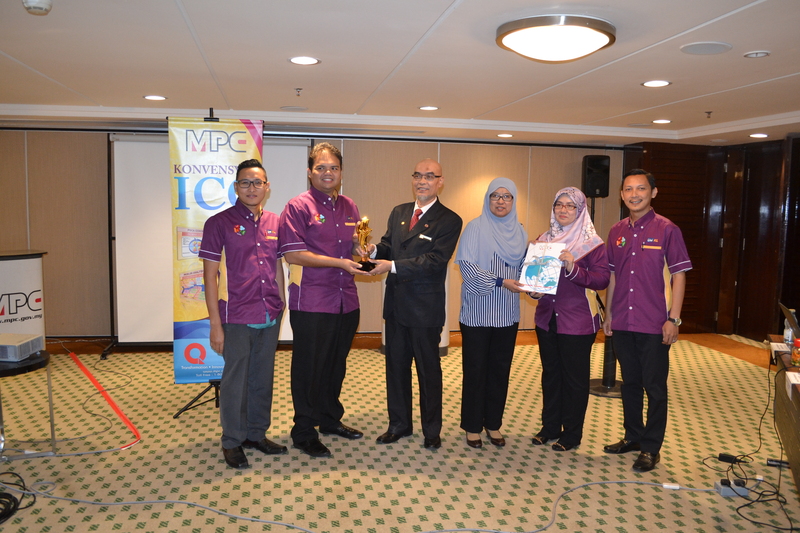 GENTING, 16 November 2017 – Universiti Kuala Lumpur Institute of Medical Science Technology (UniKL MESTECH) won the Gold Award at the Annual Productivity and Innovation Conference and Exposition (APIC) 2017 held at Genting International Convention Center (GICC). UniKL MESTECH’s team “Gloire” joined other 1,978 participants from 286 groups at the prestigious annual exposition which showcased outstanding innovations and achievements from multiple organisations across various industries. With the theme “FROM IDEAS TO REALITY”, team Gloire comprising of Ms. Nalini Fahimi Mustapa, Mr. Mohamel Zul Fadhli Khairuddin, Mr. Khairul Nizam Mohd Isa, Mr. Khairul Mustaffa Bokra, Dr. Azimah Abdul Wahab, and Ahmad Bazilin Ahmad Khasim presented a project entitled ‘CASE STUDY IN UNIKL MESTECH: LEAN PROCESS IMPROVEMENT FOR STAFF CLAIM’ to a huge round of applause. The Gold Award qualifies them for participation at the 2018 international level exposition in Dubai.